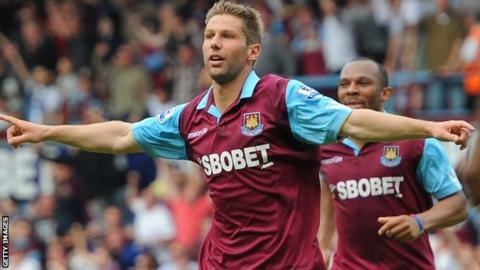 Former Aston Villa and West Ham midfielder Thomas Hitzlsperger has joined Everton until January. The 30-year-old, capped 52 times by Germany, left Wolfsburg at the end of last season and was without a club. Hitzlsperger began his senior career with Villa before moving to Stuttgart on a free transfer in 2005. He returned to the Premier League for an injury-hit spell with West Ham in 2010-11 and missed most of last season for Wolfsburg with a knee injury.